Kinney, will share his personal connection to this fascinating story via his B-29 mission to Naoetsu, Japan, that was instrumental in saving 700 starving POW's including Louis Zamperini as well as the continuing story of their relationship and events in their lives especially during the past 25 years. Of interest is the fact that Byron starting writing his book about this story titled A Mission of Mercy Touches Two Lives: A Pilot Meets a POW for his kids in the original NSGS writing group he started in 1992 while serving as program chairman. 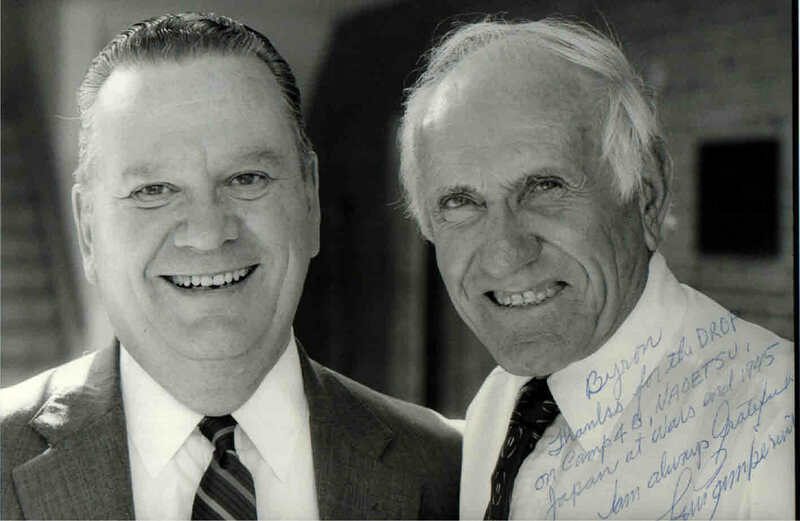 Byron & Louis at their first meeting in 1985.